There are more than 500 criminals among the migrants trying to get into the U.S, according to the Department of Homeland Security (DHS). DHS officials said Monday that the criminals are part of the caravan that is currently sitting in Tijuana and expected to enter the U.S. at San Diego. As Fox News reports, the comments were made during a Monday conference call to reporters. DHS officials maintain that “most of the caravan members are not women and children,” but those people are leading the migrant caravan in an effort to depict the members as vulnerable refugees. The situation has been further complicated by a federal judge who ruled late Monday that President Donald Trump cannot temporarily ban illegal border crossers from seeking asylum in the U.S.
At least 6,000 migrants have arrived in Tijuana for processing at the San Ysidro border crossing — a number that may escalate. Many Tijuana residents have reacted with anger and hostility toward the wave of migrants, calling it “an invasion” and telling them to go back. A mob of locals reportedly approached a detention center where the illegals are being housed and shouted “criminals” and “freeloaders.” Riot police had to form a protective line in front of the migrants. The mayor of Tijuana was quick to denounce the migrants’ arrival. The U.S. Border Patrol has reacted to the caravan’s arrival by shutting down the highway leading into the U.S. from the San Ysidro border crossing. 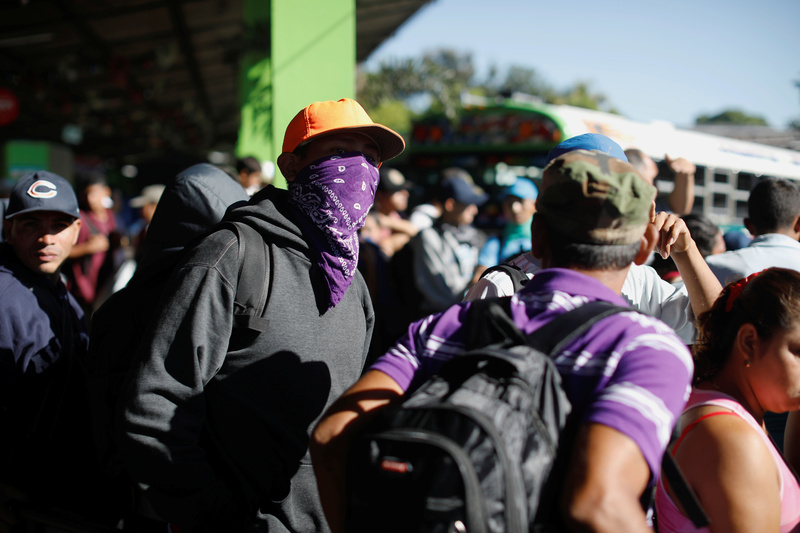 Reports of criminality have followed the migrant caravan throughout its journey from Honduras through Mexico. A Reuters report detailed how some of the migrants are armed with guns and Molotov cocktails that could presumably be used against U.S. border patrol or army personnel. Another migrant confessed to a reporter that he had been convicted of attempted murder, but hopes he can obtain a pardon in the U.S.